Recommended during autumn when the organism's immunity is lower and during antibiotics treatment. Replenishes natural microbiome of the gastrointestinal tract and improves its functioning. Assorted strains of bacteria and inulin the LaciflorStrong dietary supplement contains, replenish the human microbiome of the gastrointestinal tract. Inulin lowers the cholesterol and lipid levels in the serum. Improves the functioning of the gastrointestinal tract preventing constipations, reduces the level of toxic metabolites and improves the absorption of calcium from the gastrointestinal tract. 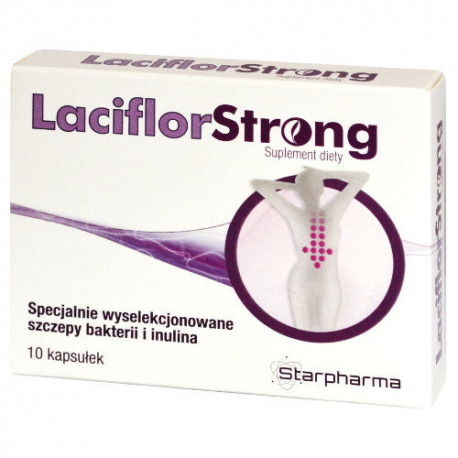 LaciflorStrong dietary supplement is recommended during autumn when the organism's immunity is lower and during antibiotics treatment. 1-2 capsules a day, (preferably 1 capsule 2 times a day) after meal. Recommended for morning intake (after meal) or evening intake (after meal) before sleep. 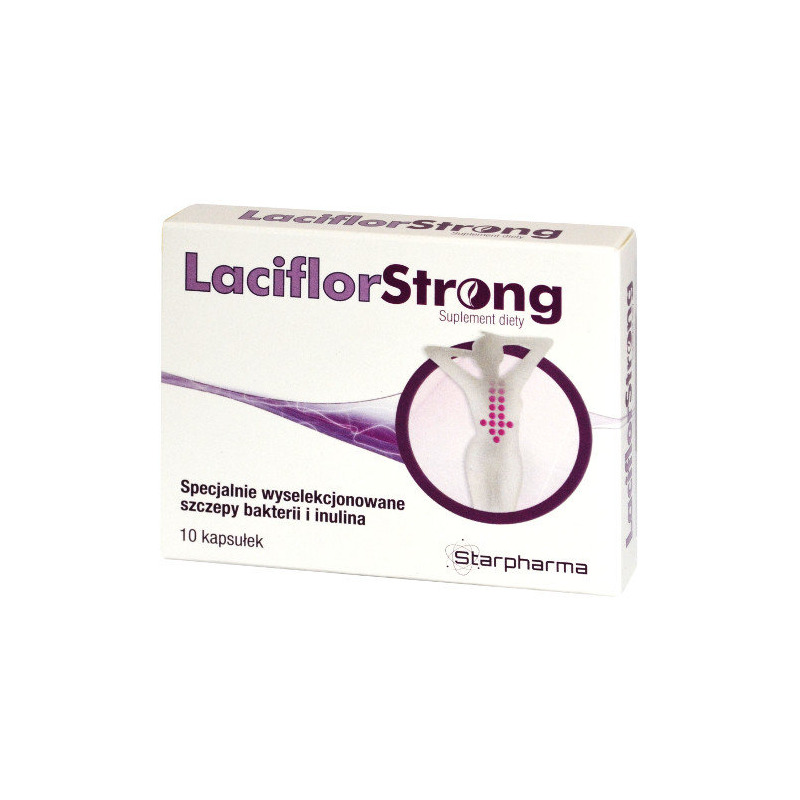 LaciflorStrong may be used by children over 3 years of age who have developed the ability to swallow the capsule. It is recommended not to exceed the daily dose (2 capsules a day). Dietary supplements should not be used as a substitute for a balanced and varied diet. Keep away from light.